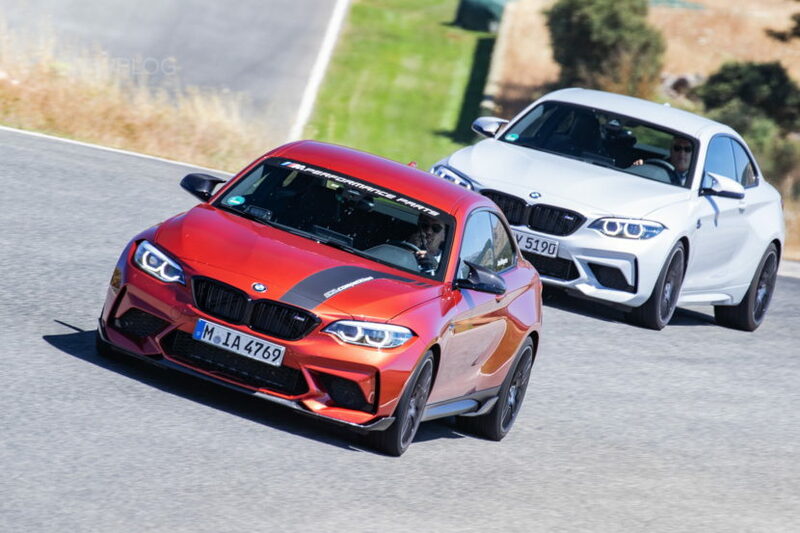 Watch a BMW M2 Competiton in Sunset Orange metallic on the Ascari race track with Nico Menzel, race car driver in the BMW Motorsport Junior program, and one of our Pace Car guys when we tested the M2 Competition. The video was filmed on the Ascari track in Spain and showcases some of the great qualities of the M2 Competition. Don’t forget to have a look around since it’s a 360° video. While the entire fleet of BMW M2 Competition press cars comprised of the Hockenheim Silver launch color, one model stood out in particular – a Sunset Orange M2 Competition Pace Car which is used in this video as well. The M2 Competition Pace Car was also decked out with a series of carbon fiber parts from the M Performance Parts catalog, starting with the front splitter, side gills, carbon fiber mirrors, rear diffuser and trunk spoiler. 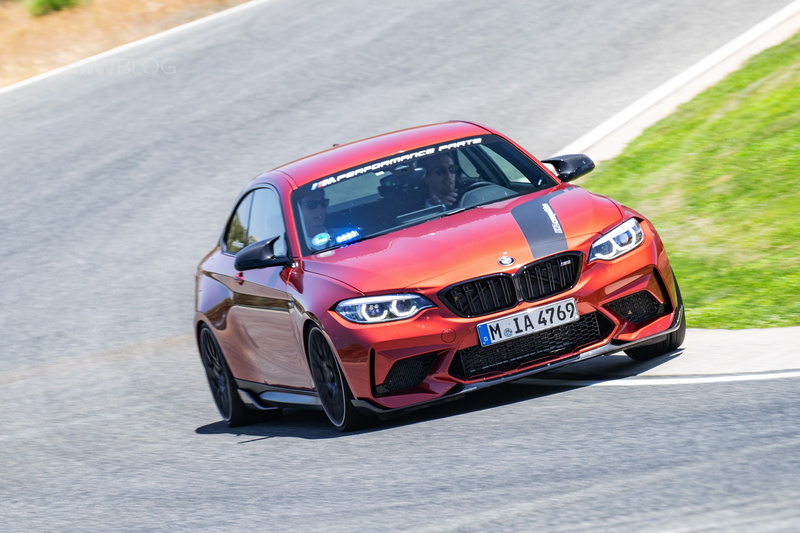 Headlining the changes from the “standard M2” is a new engine lifted from the M3 and M4, a twin-turbo, 3.0-liter straight-six making 405 horsepower and 406 pound-feet of torque. That’s 40 horses and 63 more pound-feet than the outgoing car. As a result, the sprint to 62 mph comes in 4.0 – 4.2 seconds. Next post Why is the E39 BMW M5 worth so much money now?